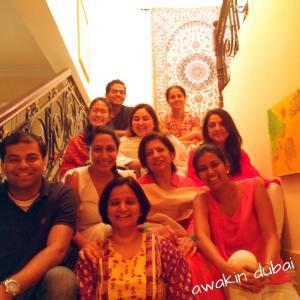 Awakin Dubai | Join Us! Every second Saturday of the month, a few of us come together to sit in silence for an hour, share some aha-moments for the second hour and often have a light meal afterwards. There no teachers, or agendas. Inspired by a family who has done this for more than decade every week, Awakin Circles are just a space to come together and share in a context of stillness, community and service. 1:00PM A short reading (sent out earlier via email), followed by a circle of sharing of "aha" moments from everyday life. 2:00PM Vegetarian meal, offered in silence. Those who stay afterwards are invited to offer time for local community projects. To be informed about future Awakin activities in the Dubai area, subscribe below and we'll keep you notified by email.